Andalusia Coral Mountain luxury community has been specifically designed to represent the architecture, the accents and the spirit of Andalusia, a southern region of Spain. The residential community has been developed in 2005 by Drummond Company. 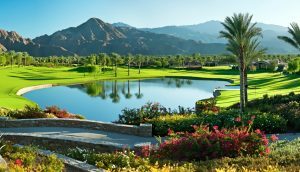 Located in La Quinta, at the base of the Coral Mountains in California, this community has plans and elevations combined in 18 different ways. One of the main focuses of the resort is providing luxury to people who choose to spend their time and even live in the area. If you want to buy a home in the complex, you can find one in a price range between 1 to 2.3 million dollars. There is one architectural theme for all the homes in the complex, with a wide perspective over the green areas and the sparkling lakes on the golf courses. The guardhouse and the amazing Racquet Club & Fitness Center can perfectly illustrate the past of this place, because of their cool patios, sunny courtyards, beautifully painted tiles and amazing arches. By owning a home in the area, you can benefit from a membership that is included for the Racquet Club & Fitness Center, in order to help owners have an active lifestyle. The 72 par golf course is the most enjoyable course of the desert, no matter what golf level you are at. The fairways are nicely groomed, while plants, flowers, waterfalls and lakes enhance the view. There are more than 80,000 types of plants, including palm trees, olive trees, lush plants and flowers. Hundreds of the most awesome palm trees can be seen across the landscape. Olive trees are just part of the Spanish accent that the complex is meant to have. The Santa Rosa Mountain can be seen in the background to make the view a little bit dramatic. The 18-hole championship course from Andalusia At Coral Mountain has a length of 7,521 yards, which means it is one of the longest in the desert. A strategic positioning of the 88 bunkers allow you to play from any possible angle and the options of six tees and the forward tees played from 5,489 yards make this course fantastic. Every hole can provide a new adventure. When you get to the 18th green, you will see a splendid rock waterfall. While the golf course is great even for inexperienced golfers, experienced golf players will truly understand the beauty and the potential of it. The golf course presented above is just one of the two planned courses. One of them is not developed yet. There is also a site that is meant for golf practice. If you want to get a home in this residential complex for playing golf or for any other purposes, you can find all the amenities that you need. The luxury that you find in Andalusia at Coral Mountain can be breathtaking. The homes are all inspired from the ancient region of Spain. This includes the name of the complex, iron gates, large arching doors, glass doors, elegant courtyards, decorative tiles, garage doors made of wood, etc. The home sites are elevated to provide a stunning view of the golf course, the desert, the mountains and the cascades. In 2012, there were six new home models available for sale. A completely new interior design was made for these by reputable design companies from Los Angeles. In the same year, additional eleven homes were available for moving in. Andalusia at Coral Mountain also provides awesome facilities for indoors and outdoors dining, golf storage, locker rooms for men and women, pro shop, tennis courts, indoor and outdoor grill, one fitness center and swimming facilities. The clubs and other facilities also follow the Spanish architecture design used for the homes. The level of luxury and finish provided by the company can be similar to the most luxurious estates from other places. The space available in homes can be of up to 5,000 square feet and beyond. You can choose from formal and fun designs and layouts that are made specifically for the duration of your stay. Some of you may prefer to be in Andalusia at Coral Mountain just for a few days or a few weeks, but others may want to spend months, years or even their entire lifetime in the community. No matter what your choice is, you will have many benefits. Want to See Homes In Andalusia Coral Mountain? If you are interested in seeing any of the homes that are for sale in Andalusia Coral Mountain luxury community, contact Elaine Stewart . 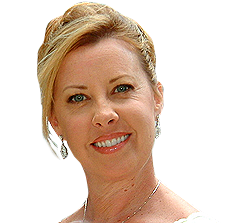 With over 25 years of experience in the Real Estate industry, Elaine truly enjoys helping people in the process of buying or selling a home.